The Zone3 Activate-Plus range is designed to be a step above the Activate range to provide extra comfort, speed and durability. 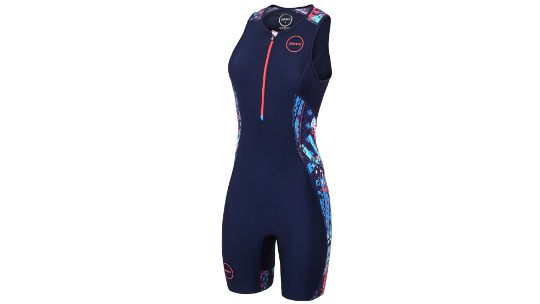 The Women's Active Plus TriSuit provides a great option for those wanting to race comfortably whether they are an amateur to Triathlon or are well experienced. The Tri-Lite-Pad is uniquely designed for Women to provide durability and comfort whilst keeping a minimal, sleek design that lowers water absorption. 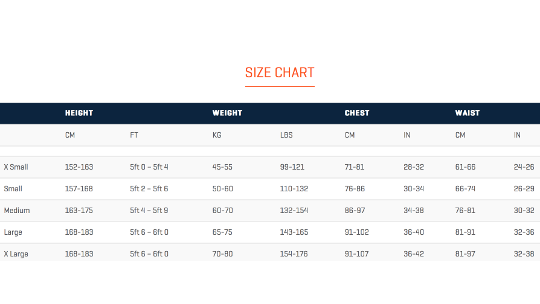 You will also find an added Inner bra feature that is designed to provide improved support which works excellently on the run section most noticeably. Silicone UFO leg grippers prevent the TruiSuit from riding up which ensures a good fit and elastic banded pockets provide space for your favourite nutrition, spares and valuables. 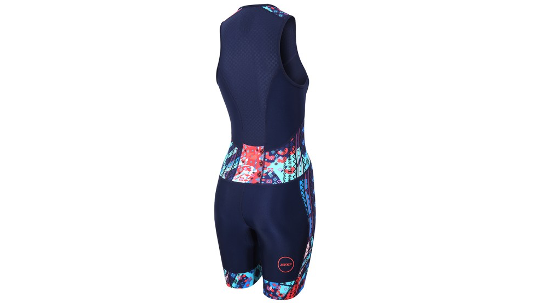 All in all the Active Plus Women's suit provides the perfect level for anyone who loves racing short distance triathlon. 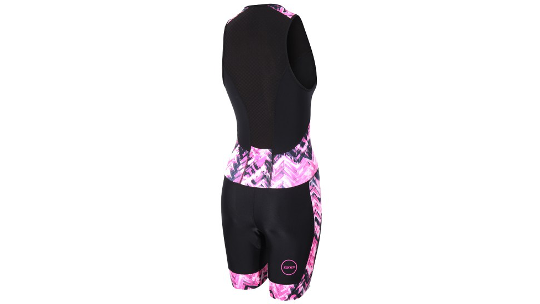 A female specific made to measure triathlon pad. Small and neatly positioned, the pad also features different thickness levels to ensure comfort and minimise any saddle pain. 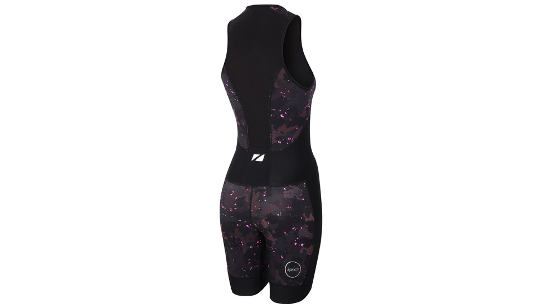 It is designed to minimising any water absorption and provide protection during the cycling phase, without impeding your swim or run. Also, fine-line stitching to further reduce any irritation. Designed to give extra support, especially during the run phase. The bra also has a zip on the front making it much easier to get the suit on and also allows you to use the main suit zipper on the front without exposing too much chest. Binding to give a snug fit without any discomfort around the arms and necklines. Also, new seam construction to prevent any chafing under the arm. A very popular feature of the Zone3 garments. These grippers are positioned on the inside knee of each suit to prevent any movement of the shorts whilst also helping to prevent irritation.